Film aficionados questioning why Ryan Coogler would follow up his critically-acclaimed boxing drama Creed with some dumb superhero movie might be forgetting that a few years ago they were wondering why he would follow up his critically-acclaimed biographical drama Fruitvale Station with some dumb Rocky sequel.So he has now twice shown his ability to work within the boundaries of pre-existing larger narratives and still churn out emotionally satisfying cinema. And that’s what he’s trying to do with Black Panther as well, according to an interview with Fast Company. It’s a specific challenge. What Marvel’s doing, and what you see a lot of studios doing now that Marvel has done it so successfully, is making content that exists in a particular universe, where the characters tie in and crossover, and I think that’s a great creative challenge to me — to make this movie as personal as possible. It’s going to be my most personal movie to date, which is crazy to say, but it’s completely the case. I’m obsessed with this character and this story right now, and I think it’s going to be very unique and still fit into the overall narrative that they’re establishing. I grew up as a comic book fan, and the same things used to happen in the comic books. You’d have Wolverine’s books, and they’d be so much darker and more brutal than the X-Men books, but they’d still fit in when you open the pages of the X-Men book. It’s new to movies, but it’s not new to storytelling. There’s good reason to believe that something genuinely interesting can be spun from the 50-year-old Marvel property. 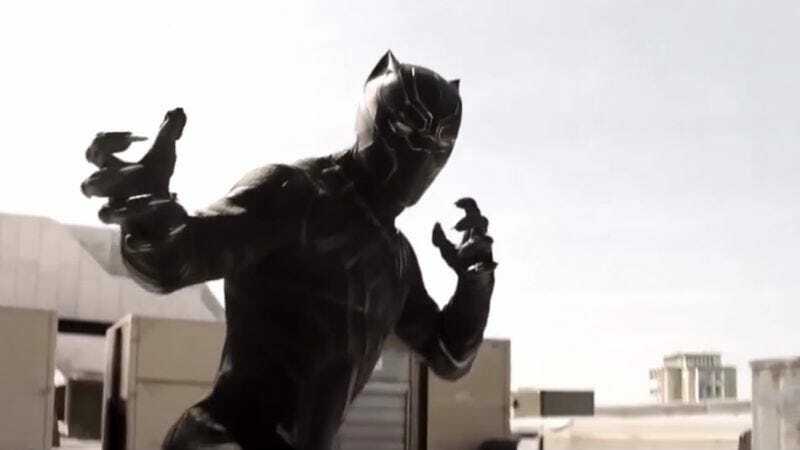 In addition to the African superhero being widely viewed as a standout presence in Joe and Anthony Russo’s Captain America: Civil War, Ta-Nehisi Coates’ current Black Panther comics storyline has been garnering a lot of praise from both critics and fans, showing that there’s a lot of Vibranium-quality material to mine from the source material. Coogler is also attracting top notch acting talent to the project in the form of Oscar-winner Lupita Nyong’o and the director’s go-to performer Michael B. Jordan. As has already been shown with films like the Russo Brothers’ Captain America: Winter Soldier and James Gunn’s Guardians Of The Galaxy, there remains room within the framework of Marvel’s shared universe for individual filmmakers to highlight their idiosyncratic visions.